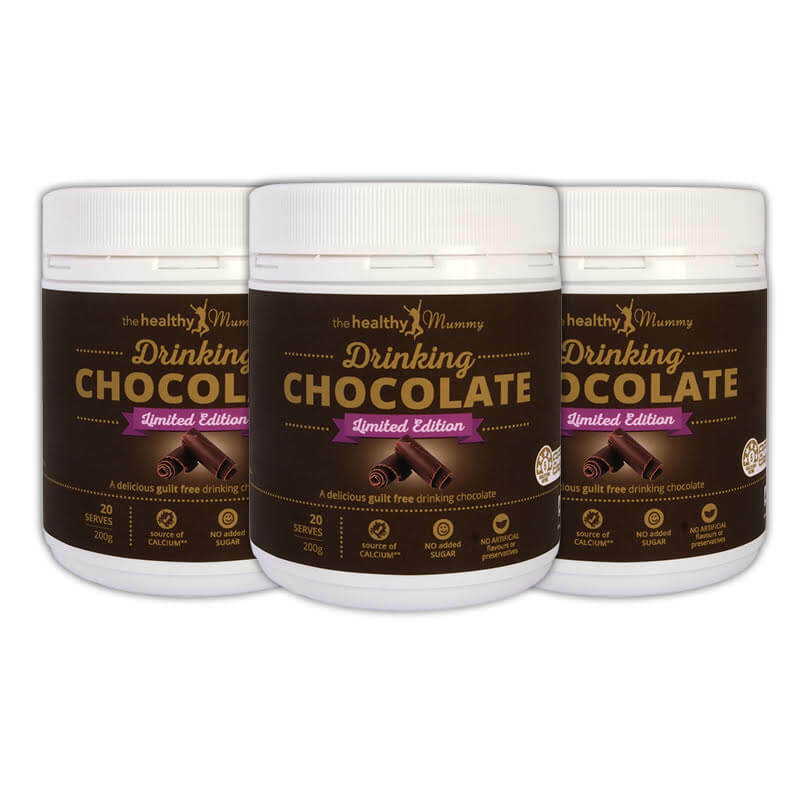 Did you know that traditional drinking chocolate or hot chocolate can have up to 80% sugar in? 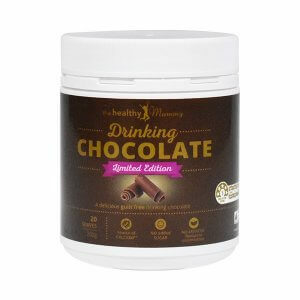 The GOOD NEWS is that we have created The Healthy Mummy Drinking Chocolate with NO added sugar and with lots of additional nutrients in – so as well as tasting AMAZING – it is actually good for you. It’s rich, chocolatey and so delicious. AND ONLY 170 Kilojoules (40 Calories) per serve. 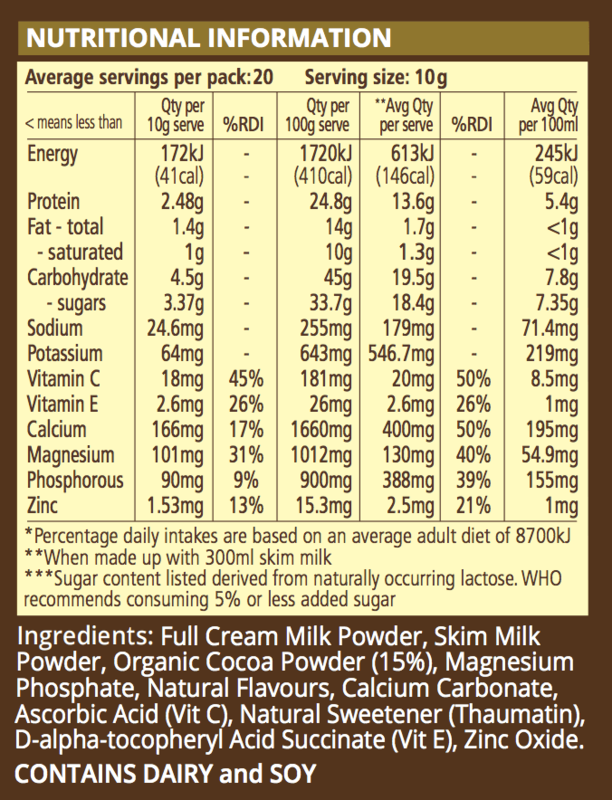 Please note that the sugars in the drinking chocolate come from natural sugar in the lactose (dairy). Have it hot or cold – it is absolutely DELICIOUS and will curb any chocolate cravings in one go! It comes with a 5 STAR Health Rating too. 9/10 Mums recommend our smoothies! The Healthy Mummy Smoothies are recommended by 9 out of 10 mums. Find out what’s so great about them!